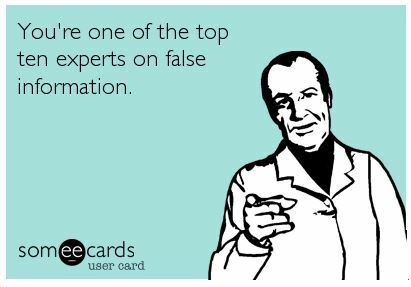 Who Proves the ‘Experts’ Wrong? – – God does. Between 2002 and 2007 there was a drought in Nebraska. It was so bad that the water level in the largest man-made lake in Nebraska was determined to be at catastrophic levels and…according to experts…the lake would not be filled up again for nearly a century. — that’s right. . .100 years. Which caused a lot of stress and worry among the many farmers and ranchers who use the water in the lake for irrigation and watering livestock. However…just when the ‘experts’ began to throw their proverbial nonsense around, it started to rain and snow in Western and Central Nebraska. And while the rains and snows kept falling in Western and Central Nebraska, the water levels in the largest lake in Nebraska kept rising. So much rain fell that within a couple years the lake was so full that the so-called ‘experts’ had to open the spillways that hadn’t been opened in roughly 40 years. 2007 – Lake McConaughy at lowest levels recorded in 60+ years. — “Experts” at numerous Universities and geological institutions predict that because of drought conditions and high water use for irrigation, it’ll take 100 years or more to fill up again. 2009 – Moisture begins to fall from the sky in the form of rain and snow. The runoff causes rivers to swell and water to pour into lake McConaughy. 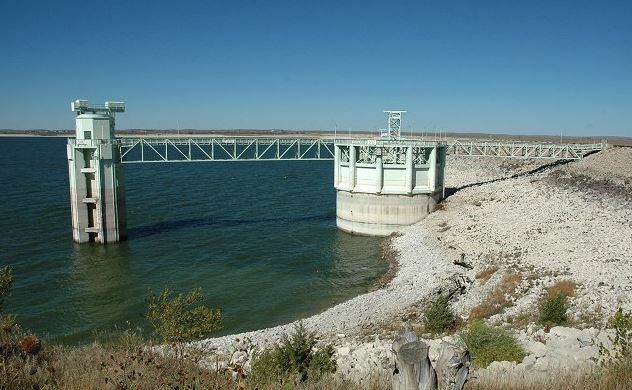 2015 – Lake McConaughy near capacity at 97%. 2017 – Lake McConaughy at normal or above normal levels. Over the past 5 years a drought in California has caused the water levels in the lakes, rivers and reservoirs to drop to undesirable levels. “Experts” at numerous universities, climate and geological institutions predict that the water levels are so low and usage is so high (for irrigation) that it will take 100 years or more of constant rains to fill the lakes back to moderate levels again. However…an interesting thing happened. . .
Over the course of the past two years moisture started falling from the sky and covered the state of California with snow and rain. As this strange substance continued to fall from the sky and cover the ground in the form of snow and rain, the rivers swelled. . . the lakes filled . . . the streets flooded. . . and the “experts” were once again proven to be unreliable and incorrect in their assumptions about how long it would take for the lakes and rivers to fill up again. Click here to see before and after photos of the California drought. So what caused all the rain and snow to fall to make the lakes, rivers and reservoirs rise so rapidly after such unbelievable droughts? The majority of ‘experts‘ like to say that it was because of strange weather patterns caused by global man-made climate change, but they never give credit where credit is due. Even when proven wrong over and over again. Experts come and experts go, but God remains forever and He has the whole world held together by the hand of His Son. You see, all credit belongs to God for filling up the lakes and rivers in such a short period of time. So, next time a drought occurs in the land, don’t listen to the so-called ‘experts’ telling you how devastating it is or how long it’ll take to fill of the lakes and rivers. Instead, get on your knees and thank the God of Heaven for providing an opportunity to prove the experts wrong and to see how wonderful His miracles really are. It’s pathetic to follow the ‘experts’ when the ‘experts’ aren’t all that experienced.